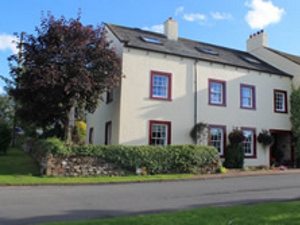 Denton House016974 78415work Guest HouseA friendly atmosphere awaits you at this large 17th century house modernised to provide a Lake District guesthouse with 20th century comforts. Situated in the unspoilt village of Hesket Newmarket, we are a perfect stop-over en-route to Scotland from the south. We are located on the Rievers cycle route and the Cumbrian Way runs close by. Whilst staying with us you are free to relax in our spacious guests lounge, or why not take a stroll around our beautiful village, call in at the world famous Old Crown pub just 20 yards away! If you are planning a special party, family celebration or other event we have a large 60 seater restaurant that may be booked for your private function. Both the restaurant and guest lounge feature open coal fires.